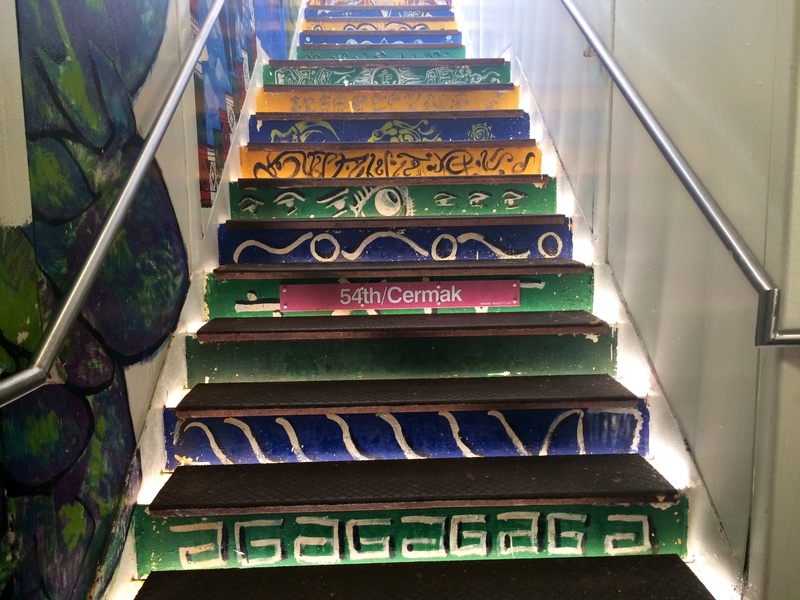 Pilsen flavor can even been seen going up the neighborhood’s stairs at the “L” stop. Chicago’s Pilsen neighborhood is known for its authentic Mexican food and Abel Sirngua, 57, wants the whole world to know. Migrating from Guanajuato, Mexico at a young age to the United States in order to help his mother, Sirngua sells “paletas” on the streets of Pilsen. “Paletas” are an Hispanic, rectangular frozen treat made from either water or milk. Similar to American popsicles, they come in a variety of flavors. Apart from the vendors on the street selling small snacks, there are a selection of restaurants selling authentic Mexican food such as taquitos, flautas, and tamales. “With all the food here being made by hand, it’s as if my mother were here,” Sirngua said. 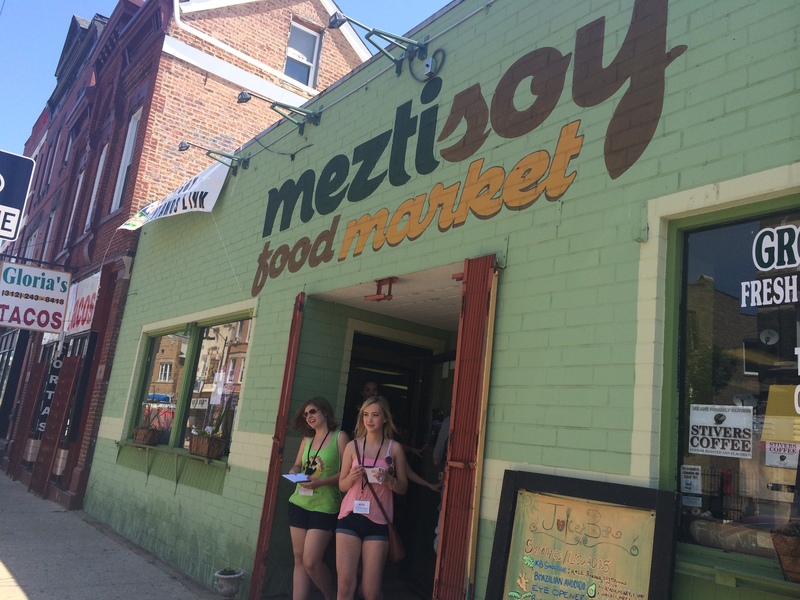 With the authenticity of the food in Pilsen being very similar to that of Mexico, the neighborhood, consisting of mainly Hispanics gives those who have migrated here to the United States a sense of home. Pilsen is located at the lower West Side of Chicago, with its boundaries being 16th Street to the north, Cermak Road to the south, Halsted Street to the east, and Western Avenue to the west. It has a population of about 43,000. Nuevo Leon is a very popular restaurant in Pilsen that is considered “authentic.” With prices ranging from $5 to $8 and unique flavors, folks can order a meal big enough to keep their stomachs full. The Meztisoy Food Market where Yasmin works also contains a small restaurant. When people who are not from Pilsen come to visit the community, they have accepted how traditional the food is, and because of that, restaurants haven’t had to modify any of their recipes thus, making Pilsen a home away from home to those that miss the homeland of Mexico.